Experience an interactive digital exhibition to learn about our First World War journey to the front, soldier repatriation and return home through stories of events and the historical places. 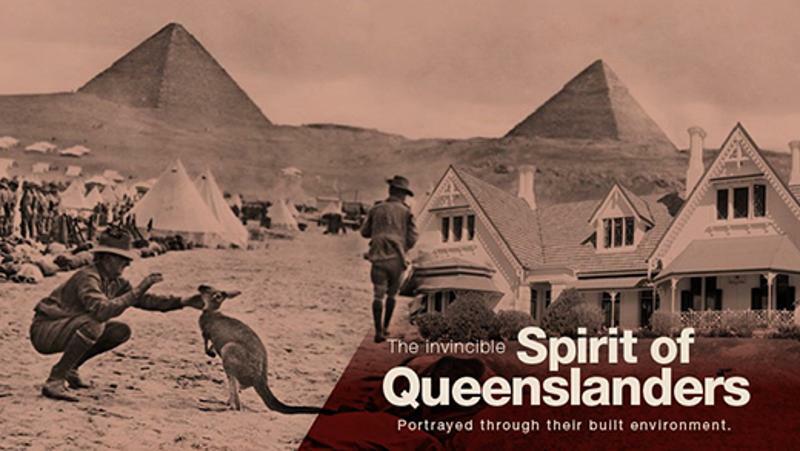 Honouring the soldiers and families who answered the British call to the First World War (1914–1918), The Invincible Spirit of Queenslanders – 100 Years of Anzac draws together the relationship between historical First World War sites, stories that commemorate the involvement of Queenslanders, and the role of built environments during this period. Anzac values at home and abroad. Courage and ‘Brothers in Arms’. The home front in Queensland. Image (left): Mena Camp in Egypt. Australian War Memorial C02588.